​As key a piece of their future as any. The Philadelphia 76ers have an incredibly bright future, highlighted by the way their young stars led them to a ​postseason trip this year. With the potential for the 76ers to ​get even better this offseason, the sky is the limit. But, Brett Brown plays a key part in that as their head coach. Philly knows this, which is why they've reportedly awarded him with a new deal. Despite being 127-283 in his time with the 76ers, Brown has received a three-year extension from Philadelphia. That record needs to be taken with a grain of salt, because you could argue it was Brown's job to lose games at one point in his tenure. 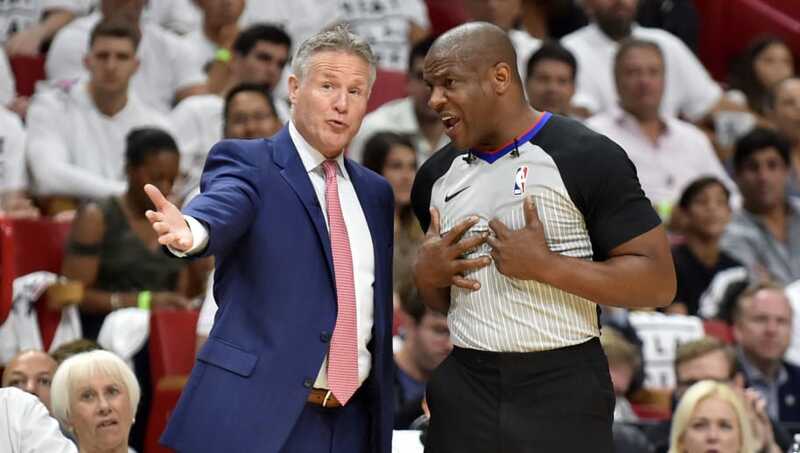 A three-year contract extension means Brett Brown is signed through the 2021-22 season. Far more than a token "avoid heading into the year as a lame duck" extension, but a "he's sticking around to be the head coach long-term" extension. Good on the #sixers. Brown has been with the 76ers in the valley, and he's done enough to get a shot to take them to the top of the mountain. When given talent, he's gotten results, and you can't take his record at face value given the talent he had to work with during the early years. This team showed just how much potential it has this season. Philly fans are no question in favor of this move.